I've been visiting parks, and wondered what the regs are for US citizens camping on crown land, which I don't understand at all. How can the queen of England still possess land in a sovereign country? Would you prefer "State Land"? Crown Land is provincially controlled, rules in other provinces may vary somewhat. Just to clarify for our republican friends. QEII is, amongst her other titles, Queen of Canada. There is a faint possibility that someday Canada could end up with a different monarch than the UK because our succession laws differ slightly. We have our own heraldry and honours system, as Conrad Black discovered when he wanted to accept a UK title and lost his Canadian citizenship. As stated above, the principles of Canadian law derive from English law, as does US to a great degree. Canadian real property law derives from English law that dictates that only the Crown can own land absolutely. The Queen is Queen of Canada, but "Crown" usually refers to the Provincial or Federal Government ( eg the Queen in Right of Province of Alberta). So Crown land just means land to which Federal or Provincial Government has not yet conveyed title- that is certain rights in the land. To narrow the focus to Ontario, recped's link will give you all the info you need. The cost is $9.35 + tax (per person, per night), well worth it if you run across a Conservation Officer. 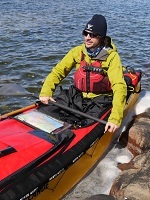 Buy them online, an outfitter or a Service Ontario Centre (provincial government licence centers). Let me say on behalf of all Canadians, thank you for asking. Too many don't. I hope you share your findings with our other friends to the south. You are a credit to all Americans. I recommend buying the permits online.. I have had several instances of running around Northern Ontario trying to find a Service Center that actually had the permits. I suspect there is little call for them and not everyone was familiar with what I needed. This was all before online purchase was available. Not all outfitters have them either. You are a credit to all Americans. Ain't saying much, from my observations, But thank you. Might help the trade balance a bit!! I think you can rent some stuff from an outfitter as an alternative to getting a permit. Maybe someone here knows the specifics of this. Yes, anytime you "engage the services" out an outfitter you can avoid the non-resident camping fees. In some cases this means something as minor as renting a tent for $25/week. I have a business operating in Ontario (not related to outdoor activities) and I have a crap tent I would rent for $1 for an entire summer! She is the Queen of Canada. We let the Brits have her as Queen as well, and let them pay for most of her upkeep. 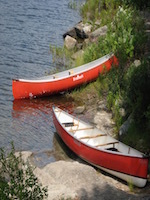 You will need a non-resident camping permit to camp on Crown land north of the French and Mattawa rivers or in a conservation reserve anywhere in the province, unless otherwise prohibited. - Camp up to 21 days on any one site in a calendar year. - Camping isn't allowed in designated green zones. - Check if camping is allowed at a conservation reserve or on the Crown land where you are planning to camp. If I recall correctly from going over fishing regs for Ontario, one (Yank) needs to follow Conservation license limits when fishing on Crown Land waters, regardless of license purchased. Thanks for the information. I found the rates on the Parks website, but it didn't have separate rates for non-residents, so I was afraid "crown land" was not open to non-residents at all. So how much of my daily rate goes to keep Prince Phillip in BMWs? Nevermind, I don't want to know.